One thing I like about my boys’ schools is that they are allowed to keep a water bottle at their desk all day long. I think this is a great idea! Not only keeps the kids hydrated and healthy, but they aren’t trying to run out of their class to find the drinking fountain all the time. It is HOT here and water is always needed. Plus my children complain about the bus after school. No air conditioning. This week C’Man said his window was stuck and the bus driver couldn’t even get it down. He was HOT! Glad he had his water bottle in his bag! Though it is a tad smaller than I would usually buy this can be a good thing. It’s lightweight to carry back and forth in the backpack. The size will be perfect to sit on a desk or to fit into a lunch. I like the sprout top and the cover that fits over the mouthpiece. Helps with those drips when being shaken around a school bag. And high food grade stainless steel which I think is the way to go! Check out iplaybabywear.com for other lunch options. 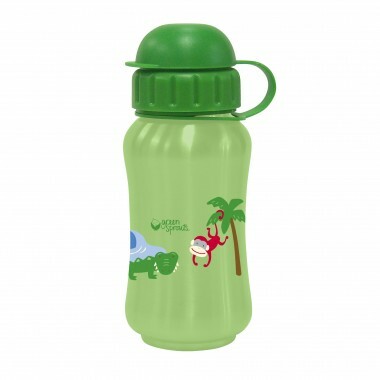 WIN this Green Sprouts Stainless Steel Bottle in either print! 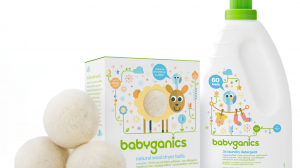 I received this product for review and all opinions are my own. This giveaway will end on September 5, 2013 at midnight EST. Winners will be drawn via rafflecopter. Once a winner is drawn I will contact them and they will have 48 hours to reply before I draw a new winner. Giveaway is open to anyone in US and you must be 18 years of age or older. Giveaway not affiliated with Facebook & I release them of liability. Winner will be posted in the rafflecopter widget. We are still in the process of growing our water bottle collection. A few kids have the Contigo water bottles, but you know me, we could use a few more. My son has his own water bottle and pretty much takes it everywhere! We have several water bottles that we have tried out - nothing has been a good fit, yet. These sound like they might! 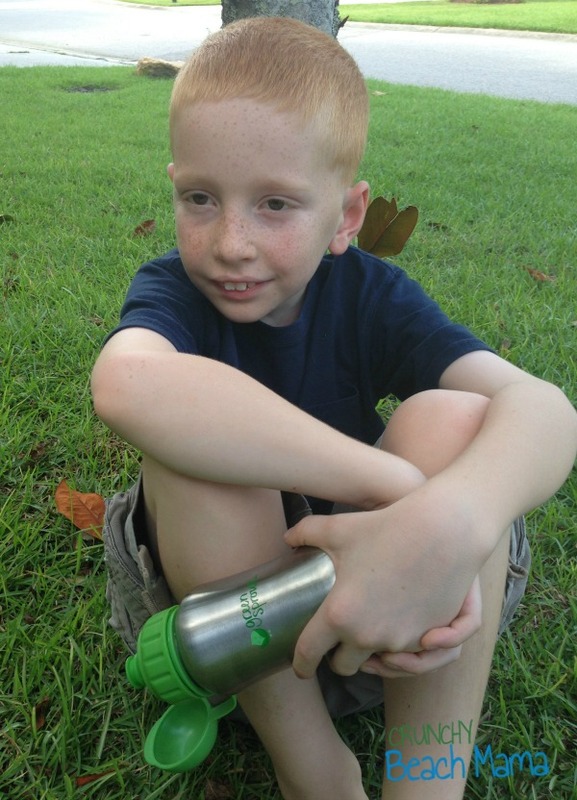 My son takes a water bottle to summer camp everyday. My oldest takes a water bottle to school. My youngest is about to start pre-K and needs a water bottle. Yes each takes a water bottle. It's only the beginning on school and we have already lost one. O_o oh well!!! I love this drink bottle! We can bring them to school for on the kids desks, and I love the stainless steel over the plastic! Yep, my kid takes a water bottle to school. But she has lost a couple and we're currently down to the cheap one that came with her lunch box and leaks :(. Would love to win this giveaway! Each of my grandchildren have stainless steel water bottles. I really need to get some to keep for them here at my home. we dont do school, but they should really each have their own water bottle. we have enough for everyone... maybe we could presonalize them? Absolutely love these water bottles! Stainless steel are the way to go and we could definitely use one of these in our collection! No my niece does not take a water bottle to school. No they never take water to school. Yep dd takes a water bottle and she gets a juice in her lunch! Nope, but I would LOVE to have this! They are not in school but my boys and I bring our reuseable water bottles everywhere. Yes, he takes a water bottle to school. My 16 year old is obsessed with water bottles and almost always takes one. we love water bottles! love stainless steel. Our water bottles go with us everywhere! We all have special personalized bottles! hubby carries water bottle granddaughter carry water bottles they are all spoiled and like the taste of well water better than city water. I send my child with a water bottle everyday. My daughter always has a water bottle. We have a few. These stainless steel bottles would be good replacements for the glass lined thermos bottles. Each kid has his own bottle that contains red Cool-Aid cause red is the most nutritious color. This is our first year of school, and they sent instructions that say I have to send them to school with disposables. That won't be happening because it's ridiculously wasteful, so I will definitely be getting them their own bottles. Yes, they each have there own that they take to school. My son always has his water bottle with him. My Grand daughters take water bottles to school with them everyday. These would be great. I don't have little ones myself. I'd like this for my mum. I'm trying to get her to drink more water during the day. This is the perfect size for her to put in her bag and she can refill it from the fountain in the office where she volunteers. My sister and I both had water bottles when we were young kids, then we got a bit older and always wanted to buy our drinks. Now we both carry a water bottle everywhere we go. Thanks for the giveaway. My son does take a water bottle to school, usually he just grabs whatever is clean out of the cabinet! Everyone in our home has their own water bottle. It's a must not only for school but sports and dance. Mine are still to young for school but they do have there own bottles! My kids do take water bottles to school and yes they have their own. Thanks for the chance. My daughter always has her own but we are constantly looking for bottles for other kids at school!! my daughter does take water bottles to school since she prefers the filtered water at home to tap water. My kids are grown and yes they have water bottles. My kids both take re-usable water bottles to school. Yet they lose them all the time. Labels are awesome! my son takes his own water bottle to school. They did, but I need to buy new reusable water bottles. One takes a water bottle to school but he just grabs one. My kids each have two of their own water bottles. One is for school and lives in their backpacks all the time and the other is for sports and travels where ever they do for various games and practices. My little grandaughter has her own water bottle that she carries everywhere she goes! Sometimes they take a water bottle to school. She takes a water bottle to school most of the time. My kids both have water bottles with their names on them...so they dont fight! My daughter has her Dora bottle that she takes filled with water in her lunchbox.